The mirror adjust isn't blue I kept it the orange color and if it wasn't lit at all it because the side selector probably wasn't in the middle spot. Good point about the clear peice I forgot to write that up in the how to. 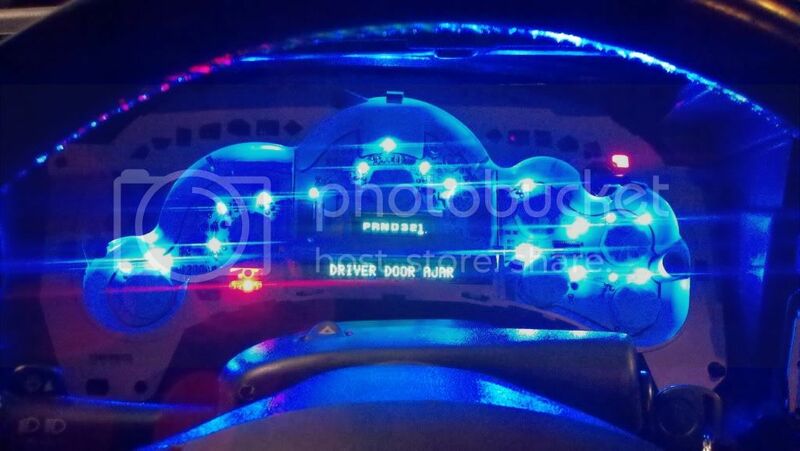 Thats why I have added numerous leds so that I can get rid of the hot spots. 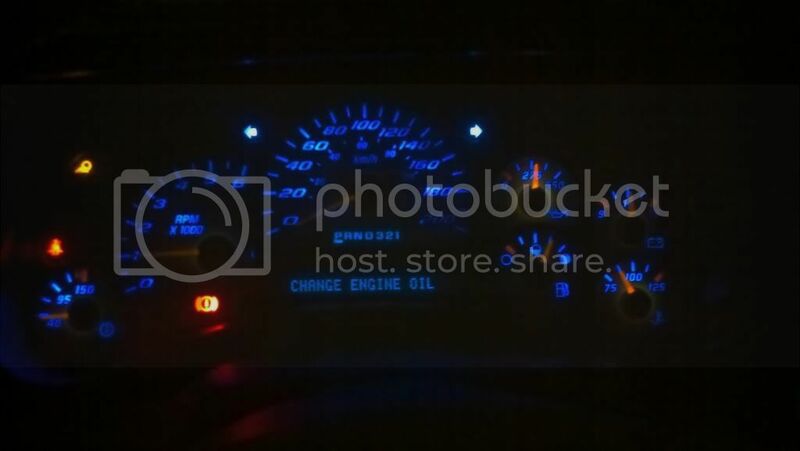 I am actually thinking about testing something new out for you guys that wamt to do a true bright white in your gauge cluster that will look like the high end sport and luxury car cluster with no hot spots . Hey man how did you go about adding more LED's than the required, did you use 22 gauge wire or smaller? i just finished the a/c controls and i went a little led crazy , one of the polarities is incorrect, its the 2nd manual a/c , the driver side slide cool/heat bulb is 180. ill double check but it got me stuck and luckily i had a multimeter and a 2nd unit to test against. nice chase looks like you got the hang of it , looks great! im going to try something on the ac control , i want to use two blue and two red leds were i have the 3 in parallel on the slide's this way the colors of the leds are true to the colors on the slide , should look good . Yeah it will turn out good I've seen it done, and your right its not hard its just time consuming. I'm having a problem with mine. Idk what size resistors they sent free with the LEDs but they are getting hot to the touch. I didn't think LEDs are supported to get hot. Almost burn u hot! Had em done and one by one they are goin out. Within 5 mins I had 5-6 bulbs go out. Does the higher the mcd the hotter n brighter? 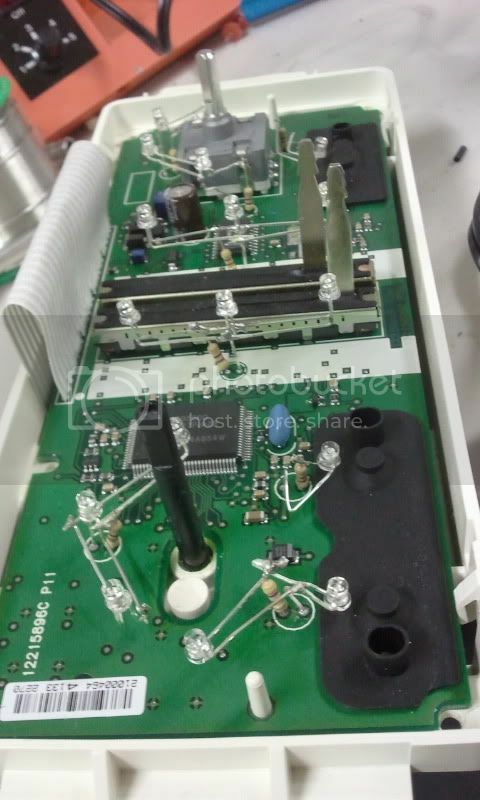 Do you have a meter to measure the resistors? I have one yes but haven't checked it. What should it read? If you didn't buy 1/4 watt 470 ohlm resistors then you just wasted a bunch of your time. If they burnt out right away like your saying then the resistors are all wrong. You need to read the first thread of this post I explain which ones to use for a reason and it wasn't for my health... sorry man. Ok Ty. If it's lower would that make em hotter? Is the bulb blowing or resistors? Seen it bud. They threw in some resistors in free so I assumed they was the right ones and didn't have a label on em. I have some 470 but haven't used any. I just kept using the others cuz they were working now I gotta redo. But Ty for the help.